Calls to the Manpa factory went unanswered. Government supporters laud efforts by Maduro, the successor to late socialist leader Hugo Chavez, for maintaining tough regulations of private businesses. 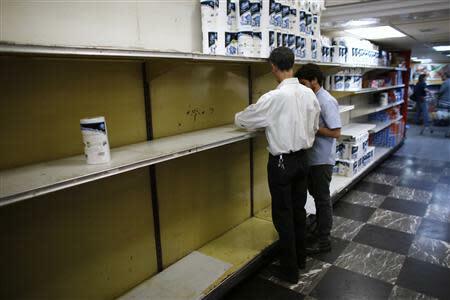 They blame unscrupulous merchants for hoarding products to make quick profits, and celebrate the socialist government's legacy of social assistance programs. Critics say the shortages of consumer goods are caused by businesses' inability to import raw materials and machinery because of a shortage of hard currency under the exchange controls.